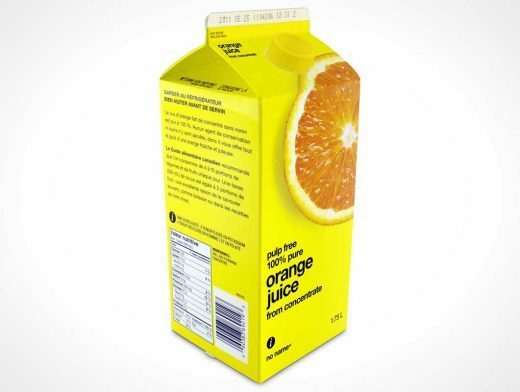 CARTON003 is a 45 degree shot from above of a standard 1.75L cardboard carton container used by many companies to package juice, milk, soya, water etc. This PSD Mockup renders sketches or final artwork onto a standing 1.75L carton with fully modifyable layers. The carton’s spout can be removed for products without a plastic spout or when rendering the backside of the carton.